The Ocean Racer rubber strap was introduced for the SuperOcean Heritage. 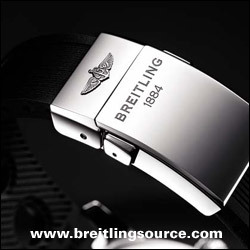 It needs to be cut down to the correct size, unlike any other of Breitling's rubber straps. This strap is available in several colors to match the SuperOcean Heritage watch.